The hostel owner is a super nice guy, he can help with everything you want to do and has some nice tips about tours. 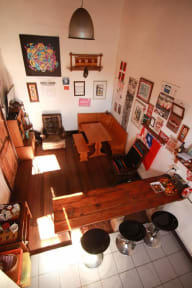 The rooms are big, everything a backpacker needs is available, so it is a good place to stay! Very nice owner who helps with everything! Friendly staff, good advices for visiting the city and places to eat. 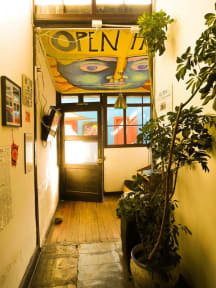 The hostal is somewhat old and basic but fulfills your needs. Really basic breakfast (bread and marmelade). Storage of luggage only untill 20h.